Part II of "What's the Matter with Seattle?" In this series, we examine a theory raised by The Wharton School’s Prof. Barbara Kahn that, for whatever reason, Seattle’s retailers just get customer experience. Today, we explore Amazon Books. Read Part I: Amazon Go. 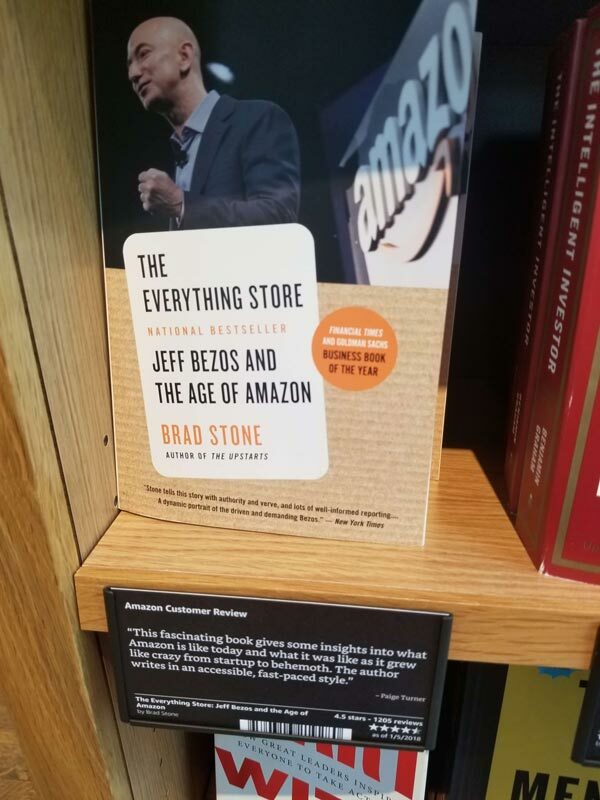 When one brushes the thick curtain of irony aside and walks through the entryway, Amazon Books feels like someone took a Barnes and Noble and squeezed it in a vice, then got creative with the shelving. The familiars are there. The respectable air, the tall bookcases full of knowledge and color, the children’s section cloistered off and decorated in pastels. But there’s a twist. “It’s totally different from a normal bookstore,” an associate explains. 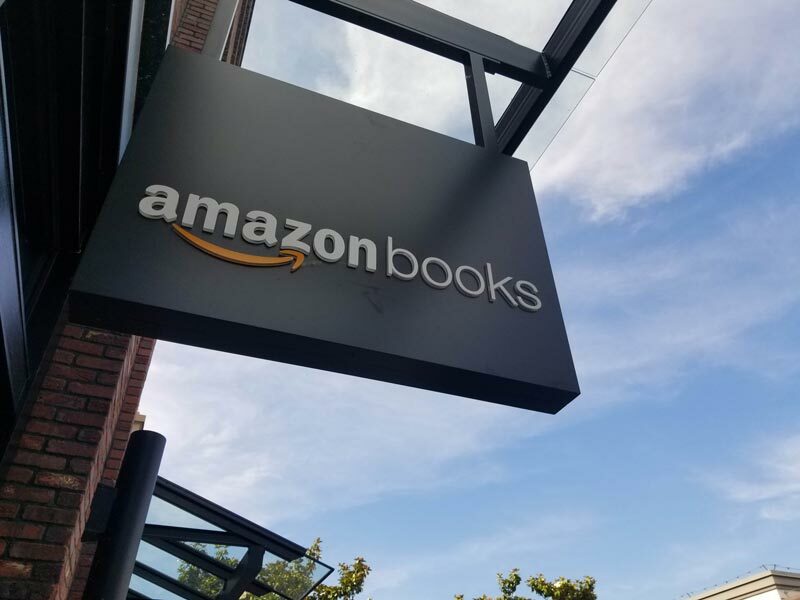 Because Amazon commands a sea of customer data (and uses it as well as anyone), it thinks differently about the inventory it stocks and the way customers engage with it on the shelves. Let’s start with the latter. The first thing one notices is that Amazon has taken parts of its digital storefront and mapped them to real life. Under every book, for instance, the shelf displays its star rating, the number of reviews, and a paragraph taken from a top online reviewer. 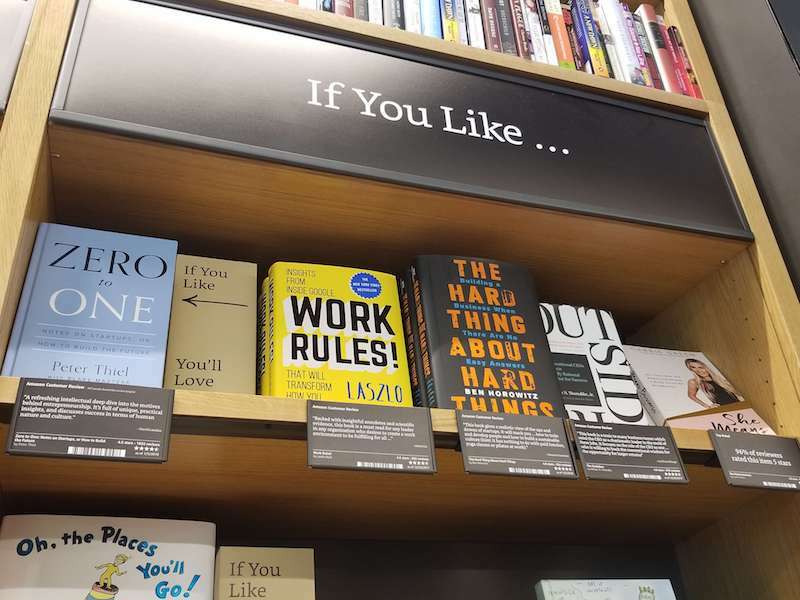 There are even “If you like, you’ll love” arrangements, a feature that elicits a slight smile, as if noticing an old acquaintance you didn’t expect to see on your afternoon shopping. The books themselves are curated by an algorithm and change weekly. What doesn’t sell gets shipped back to a distribution center. What does sell might not get replenished, necessarily. The algorithm decides. It also leads to curious assortments. On the day I went, the business section seemed like Amazon had peeked at half my Wish List and arranged things accordingly. But the history section felt like it consisted of a couple classics and then a mixture of lesser-known or hot-of-the-press volumes. I wandered the aisles trying to decode the algorithm’s mysteries. I couldn’t shake the feeling that there was a pattern there, but I lacked the power to crack it. Sometimes, though, the pattern broke completely. On one “If you like, you’ll love” shelf, a row of Silicon Valley favorites was followed by a row of Dr. Seuss – a pairing that probably makes sense in a weirdly cosmic way (oh, the places you’ll go, indeed! ), but that the average reader likely finds confusing. When one finishes picking up and putting down amazon.com and gets ready to pay, signage informs you that you can download an app, scan your items with your phone, and present the final screen to the associate to check out. Or you can just pay the normal way. A slight rub, though, is that you only get the prices on the shelves (which matched online, one-to-one) if you’re a Prime member. Otherwise, you pay the prices that put Borders out of business. Perhaps that’s why Amazon opened up a bookstore. Continue to Part III: REI. Store ExperienceWhat’s the Matter with Seattle? Get more retail insights delivered to your inbox. Thank you! We'll add you to the list!